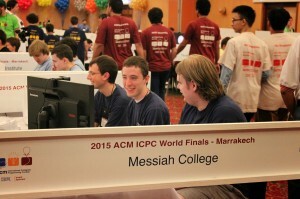 Posted in Uncategorized | Comments Off on Messiah College going to World Finals in Morocco! Updated contest results put Falcons 1st overall! The regional judges of the Mid-Atlantic Regional Programming Contest have posted a new “final” scoreboard for the contest, and the new scoreboard puts Messiah College Falcons-1 team in FIRST PLACE overall! Congratulations to Zach, Nathan, and Marcus on this fantastic update! 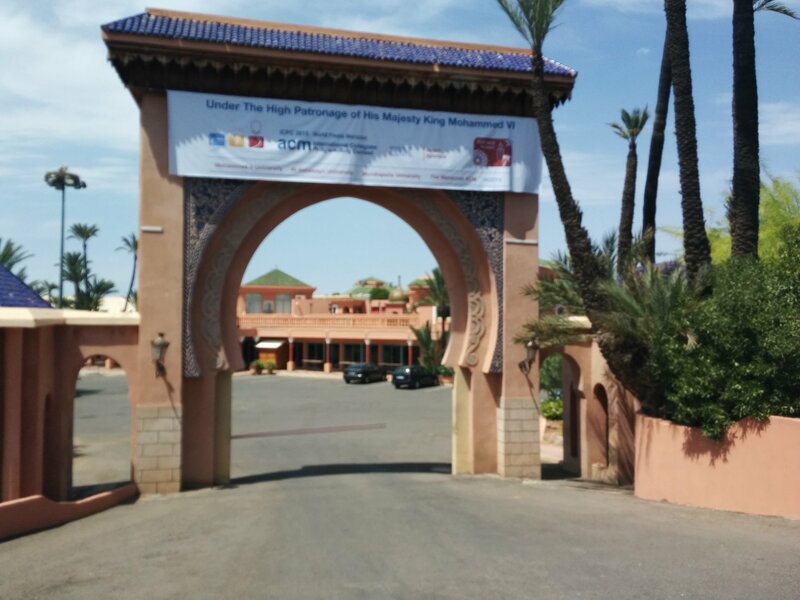 With our team’s placement in 1st place, we are almost guaranteed an invite to the world finals, held this upcoming May in Morocco. This is a great opportunity for the three students on this team, and for Messiah College to be represented among these elite schools. Posted in Uncategorized | Comments Off on Updated contest results put Falcons 1st overall! On Saturday, November 1, 2014, nine students traveled to Shippensburg University to take part in the 2014 ACM Mid-Atlantic Regional Programming Contest. There were 24 teams from 9 different schools. 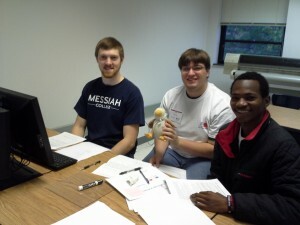 Messiah’s first team, Falcons 1 (Nathan Chaney, Zachary Felix, and Marcus Upton) solved three of the eight problems, taking first place. The problem set was very difficult, with only seven teams solving any problems at all. 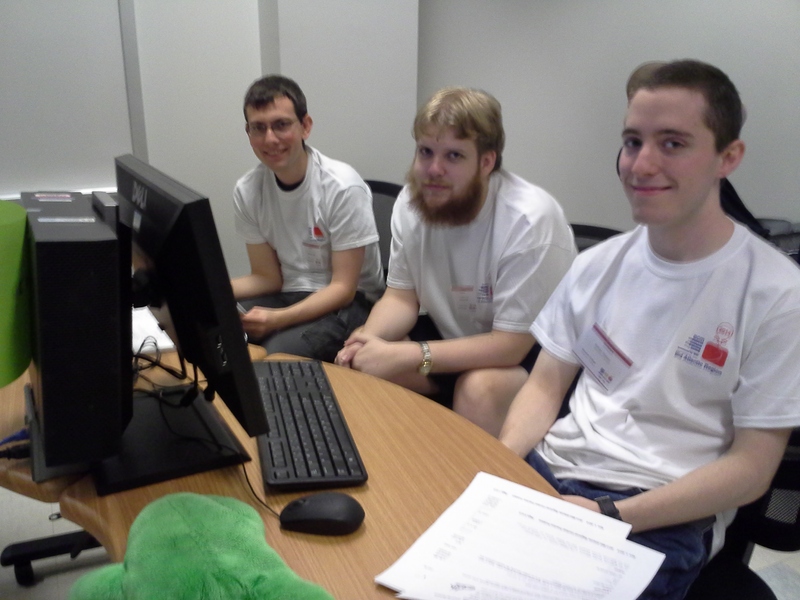 Falcons 2 (Dan Baker, Taran King, and Yacoub Seyni) and Falcons 3 (Andrew Cameron, Steven Nicolais, and Kelly Schwiker) were among the 17 teams unable to solve any of the problems. Among Messiah’s opponents were Dickinson College, Lebanon Valley College, Millersville University, Penn State Harrisburg, Shippensburg University and Swarthmore College. 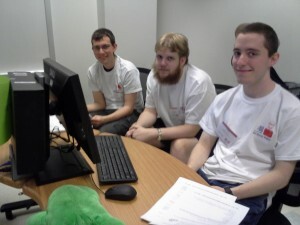 Special thanks to the Shippensburg University faculty and staff that helped run the contest at their site. The contest was part of a larger, multi-state contest hosted by Radford University, with 188 teams from 60 schools competing. Among the large contest, our Falcons 1 team scored FOURTH place, which is really an incredible result, beating out some strong schools such as University of North Caroina, Duke, and Georgetown University. Our result may have been even better, but unfortunately submissions made in the last 19 minutes of the contest could not be judged due to technical problems at the remote judging site. Falcons 1 made multiple submissions during that time; if any of them had proved correct then Falcons 1 may have placed higher. Unfortunately, Radford University reports very low expectations of being able to fairly reconstruct the results. On Saturday, April 5th, 2014, two Messiah programming teams pitted their abilities against 18 other teams from eight other colleges and universities in the area. 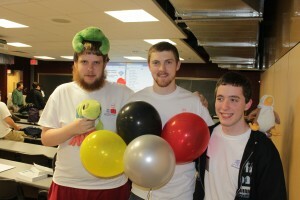 One of the teams, made up of Zach Felix, Taran King, and Nathan Chaney of Team F.R.O.G., took first place. The competition, scheduled from 1:00 pm to 5:00 pm, required teams to solve as many of the eight problems as possible. Team F.R.O.G. solved 7 of the eight while the second place team solved only 4. 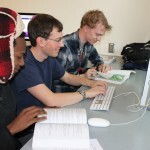 Team Abstract Class, made up of Marcus Upton, Chris Beam, and Yacoub Seyeni solved 2. Another Fall, another ACM contest! 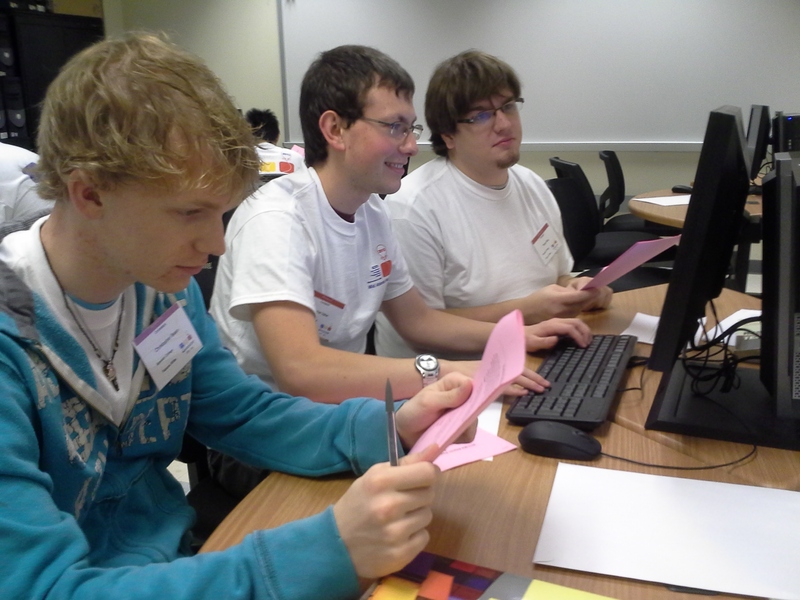 On Saturday, November 2, 2013, six students took part in the 2013 ACM Mid-Atlantic Regional Programming Contest at Shippensburg University with 24 teams from 9 different schools. 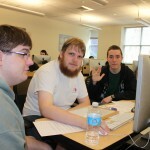 The Falcons Blue team, made up of Zachary Felix, Nathan Chaney and Dan Baker, took 1st place, solving 4 of the 8 problems. The Falcons White team, made up of Marcus Upton, Chris Beam and Taran King, took 12th place solving 1 problem. Messiah was competing against schools well known to residents of central Pennsylvania. Shippensburg, Millersville, Gettysburg, Penn State Harrisburg, Kutztown, Elizabethtown, Dickinson, and Lebanon Valley College all fielded at least one team at the Shippensburg contest site. Falcons Blue shows off their four balloons, representing four correct solutions. 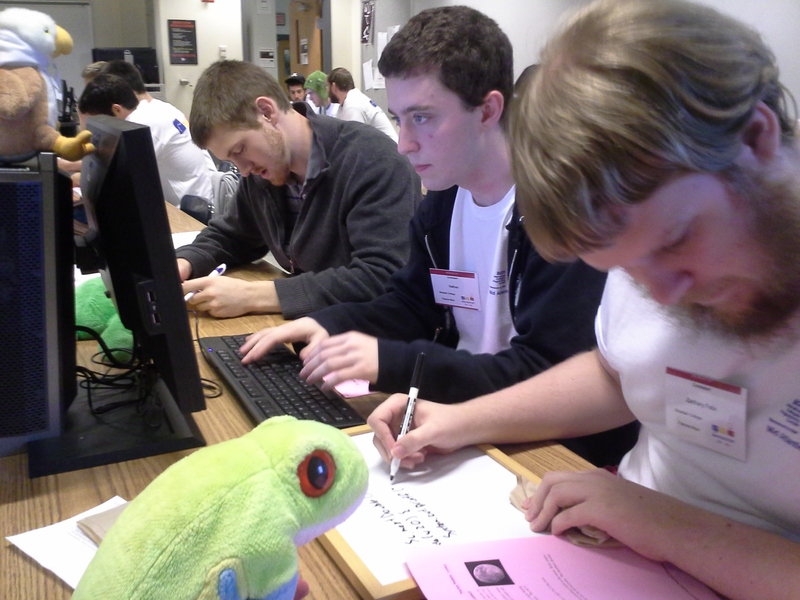 The contest was part of a larger, multi-state contest hosted by Radford University, with 191 teams from 65 different schools competing. 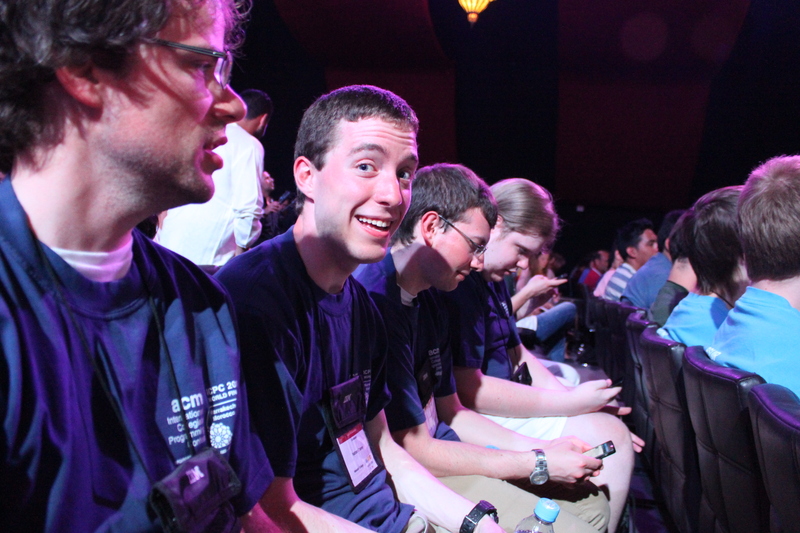 Among the large contest, the Falcons Blue team’s score earned them 13th place overall, falling short of the necessary top 3 needed to qualify for the World Finals. The Falcons White team’s score earned them 103rd overall. Posted in Uncategorized | Comments Off on Another Fall, another ACM contest!